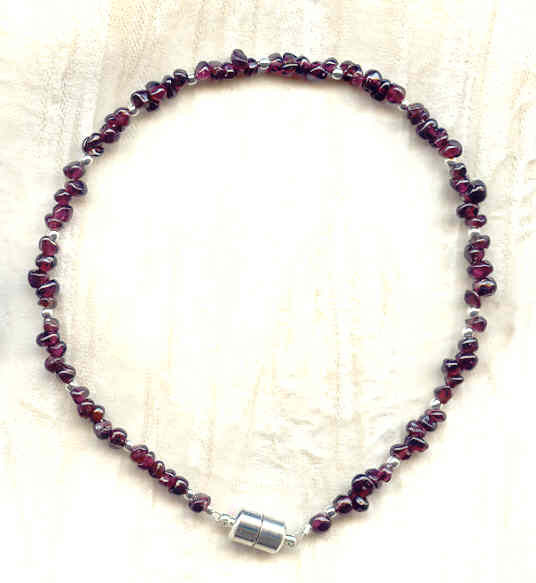 Better even than that, the collar is quite lovely, featuring garnet pebbles approximately 4mm in diameter and tiny silver tone beads. The collar measures about 10-1/2" long. The second image is a candid shot caught by chance of that famous gourmet, cat-about-town, and noted fashionista, Gorbie, wearing a similar garnet collar. Calling all cat lovers: here's a pair of beaded earrings to celebrate the furry felines that bring us so much pleasure.